Embelia ribes Burm of Myrsinaceae family has been widely used as an herb in the traditional medicine of India. Embelin is an active component extracted from the fruits of Embelia ribes. It has a wide spectrum of biological activities and is not toxic at low dose. 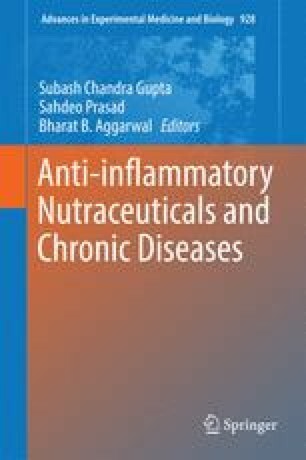 This review focuses on the physical–chemical properties and bioactivities of Embelin, as well as its effects on chronic diseases such as tumors, autoimmune inflammatory diseases, parasitic infections, microbial infections, diabetes, obesity, and cardio-cerebral vascular diseases. The underlying mechanisms of the effects are also discussed. As a multiple-targeted therapeutic agent, Embelin has the potential to be used widely for the treatment of a variety of chronic diseases, including malignant tumors. This work was supported by the grant “The Model for Prevention and Control of Malignant Tumor in Area with High Incidence from Wuwei Gansu Province” (National Science and Technology Program, Grant Code: 2012GS620101 to YN Zhou).